Make Christmas extra special with some festive delph. Whether it's for Santas treats or breakfast on Christmas morning this is the ideal plate. Let the Winter Bakery Delight from Villeroy & Boch whet your appetite for mince pies, eggnog and baked apples. 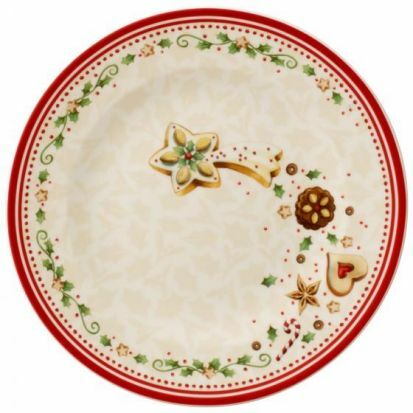 This festive crockery is perfect for the Christmas season and the winter months thanks to its light and airy pattern. Celebrate your very own Christmas.